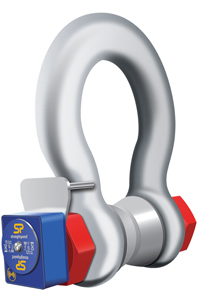 Straightpoints Wireless Loadshackle provides the perfect solution to limited headroom applications. Each Wireless Loadshackle is proof tested, then equipped with a hard anodised aluminium electronics enclosure. Contained within this aluminium enclosure is a new internal chassis providing IP67/NEMA6 environmental protection even with the battery cover plate missing. Featuring industry leading wireless technology and range, the Wireless Loadshackle is supplied with an update rate of 3Hz and can be easily configured to run at industry leading speeds of up to 200Hz. 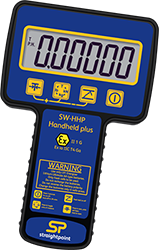 Data is transmitted wirelessly utilising the latest in IEEE 802.15.4 (2.4 GHz) technology providing safe, high integrity, error free transmission of both static weight and dynamic load to our SW-HHP-ATEX handheld controller for use in hazardous area or wireless Windows PC data logging software package in the safe area. 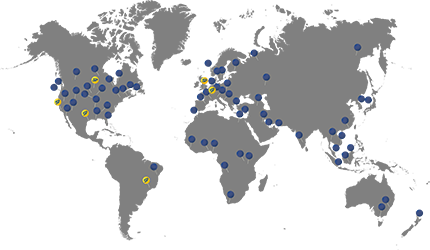 Our wireless data logging software allows for simultaneous control, display and real time data logging of up to 100 Straightpoint telemetry load cells. Logged data is captured in a .csv file format and opens in MS Excel providing easy visual presentation, analysis of logged data, and simple test certificate generation. Our Wireless Loadshackle utilises easily sourced Energizer® Ultimate Lithium AA Batteries and features advanced circuitry designed to protect the unit from damage associated with incorrectly installed batteries. This advanced circuitry extends battery life and eliminates issues associated with rechargeable battery pack charging, failure and replacement. Our huge range of tooling allows us to calibrate in shackle for extra accuracy unlike many other load cell manufacturers.